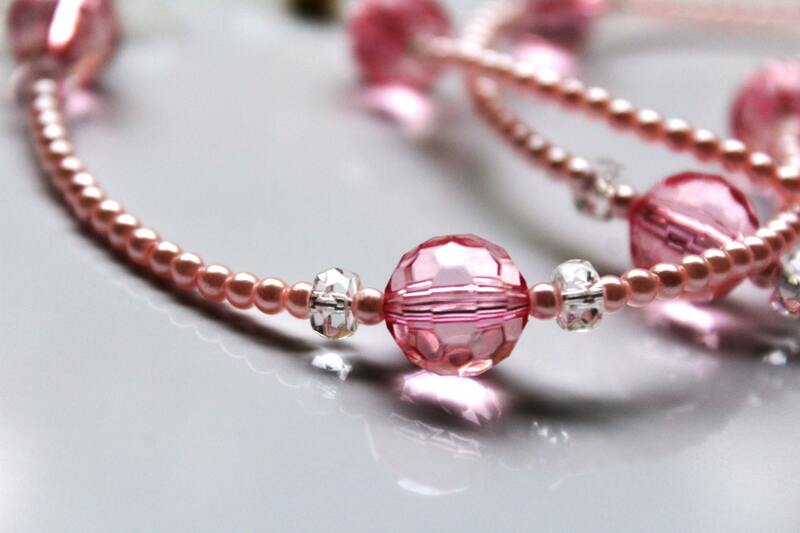 If you love pink, wear pink, think pink...this is the eyeglass chain for you! 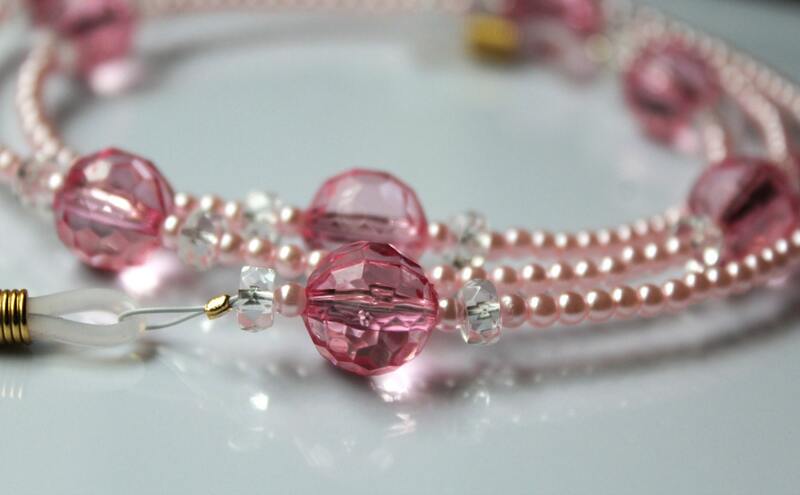 Nothing but soft pink beauty with this eyeglass chain...it is made with transparent beads and tiny opaque acrylic pearls. 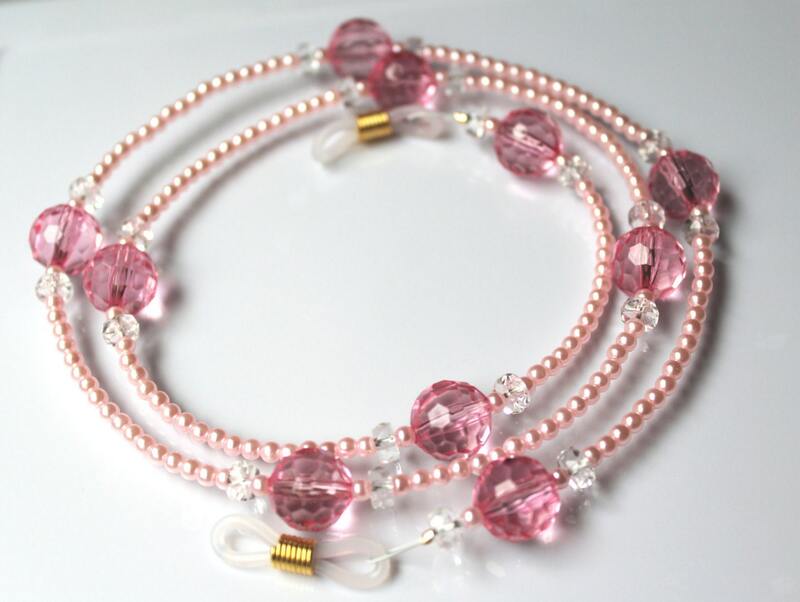 This eyeglass chain is approximately 28 inches long. 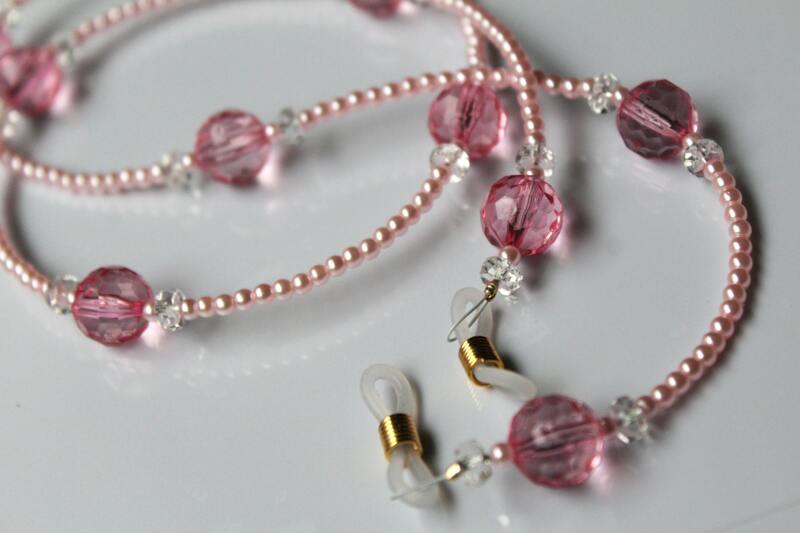 Due to the nature of acrylic beads, this eyeglass chain in light in weight. Therefore it makes a great gift! If you'd prefer metal ends on your eyeglass chain, like the one in the last picture, simply select "metal ends" at checkout.